So at this time of year the new shoots are all growing strongly and, in warmer climes or in a greenhouse, the summer pruning needs to start. Outside in the UK and Ireland it is possibly a little early. 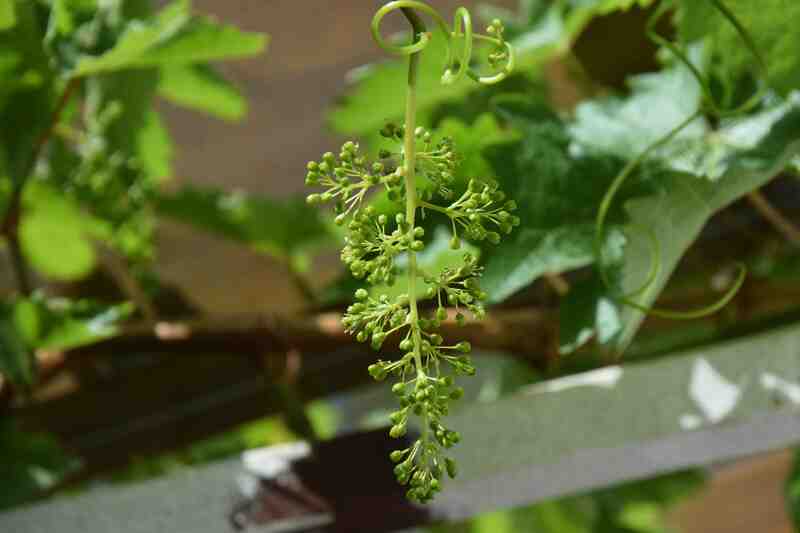 Look at the shoots and if there are signs of the flower clusters – like the photo above – you need to pinch or cut off the ends of the shoots. Count two leaves beyond the flower cluster and cut. Do this with every shoot that has a flower cluster and with those shoots that do not have flower clusters just cut them off after two or three leaves from the base. That is all you have to do. Well almost! Of course the plant will still want to take over the world despite you best efforts so it will make sideshoots from these shortened stems. But just let them grow a bit and then pinch them out after two leaves too. 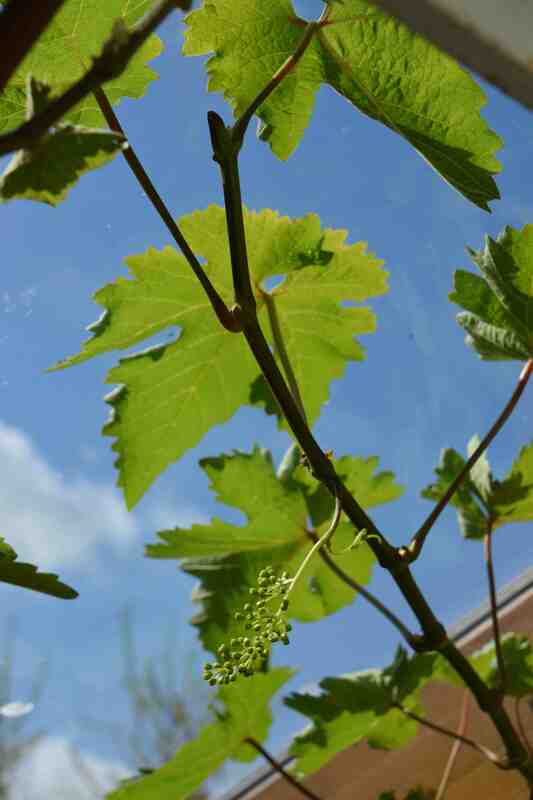 This way you restrict the growth but allow the leaves to feed the grapes. You also make sure the growth does not get so dense that it restricts airflow and encourages mildew and it lets sun get to the grapes (later in the season) so they ripen. 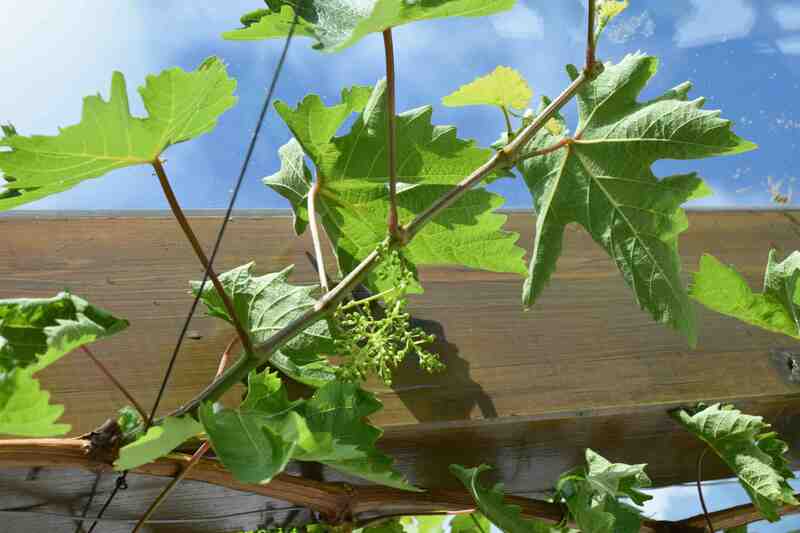 You leave two leaves beyond the bunches of grapes to help ‘pull’ sap up to the developing fruits. You can also help pollinate the flowers and get good bunches of grapes if you brush your hand over the flowers when they are open. Do not expect flowers of great beauty – they are small and green, and they open over several days so you should repeat it a couple of times. It is not always essential but it can help pollination and help ‘set’ even bunches. Good information there sir…I didn’t know about the hand brushing pollination trick I will do this in a few weeks time here… Thanks..